Many Hunterites are aware of the more prominent and well organized academic competitions; we’ve all heard of Model UN, the various Math and Debate team contests, Intel and Siemens, etc. However, there are a slew of other fantastic opportunities that Hunterites irregularly take part in, even though they present great opportunities for those who want to make their mark, feed an interest or have the fun of being on a team without ever having to set foot in a gym. Presented below is information on five great competitions; for more ideas, check out cogito.org. Moody’s Math Challenge (m3challenge.siam.org) -- Contrary to what one might assume from its name, this contest sets itself apart because it allows students with different strengths to combine their efforts to solve real world problems. Taking place on either a Saturday or Sunday in early March, the contest requires teams of 3-5 students (juniors and seniors only) to use research, logic, writing skills, math and programming to solve a problem which is released at 7am; teams hustle through the next 14 pressure-packed hours to craft well-documented research papers justifying their solutions. The topics are extremely wide-ranging – from 2006’s “Solving the Social Security Stalemate” to 2009’s “$787 Billion: Will the Stimulus Act Stimulate the Economy?” Since the questions cover such a variety of topics and aren’t known in advance, success requires really well-coordinated efforts by team members; many high schools have practice sessions months in advance to determine how teams will divide the tasks and work together to produce a winning entry. 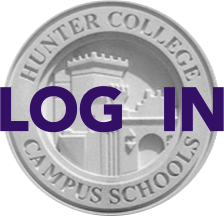 Hunter students have begun to participate in the Moody’s Challenge over the last few years but there’s always room for more. DuPont Challenge Science Essay Contest (http://thechallenge.dupont.com) -- With two divisions, one for 7th to 9th graders and the other for 10th to 12th, this contest asks students to write a short essay, between 700 and 1,000 words, on any science related topic of interest. Past winning essays have been “Salt: Enhancing Lives One Breath at a Time” and“Oxytocin: A Dog’s Best Friend.” Submissions are accepted for approximately a two month period beginning in November each year. John F. Kennedy Profile in Courage Essay Contest (http://www.jfkcontest.org/) -- Since the next deadline is not until January 5, 2013, students have a lot of time to prepare their 1,000 word essay on a post-1956 act of public courage by a US elected official. Past essays have covered Baltimore City Councilman Nicholas D’Adamo and his fight for gay legal rights and Senator Hatfield’s work against the Balanced Budget Amendment. While many students choose to work individually, essays produced by pairs or small groups are accepted without penalty. National History Day (www.nhd.org) -- National History Day aims to encourage students to become historians, giving them multiple ways to evaluate historical events. Provided with a yearly theme, such as last year’s “Debate and Diplomacy,” participants choose a related, more specific topic to research and then present their findings as a paper, exhibit, performance, documentary or website. Successful submissions move from the local level up to state rounds and then finally national runoffs. Ayn Rand Essay Contest (http://aynrandnovels.org/essay-contest) -- Actually four competitions, with each of four Ayn Rand novels allocated to a specific age range, participants write an essay approximately 600-1,800 words in answer to one of the three provided questions specific to each book. Deadlines are scattered throughout the year. Two still open for this year are: The Anthem essay for 8th through 10th graders, is due March 20, while We The Living, for 10th to 12th, is due May 5.